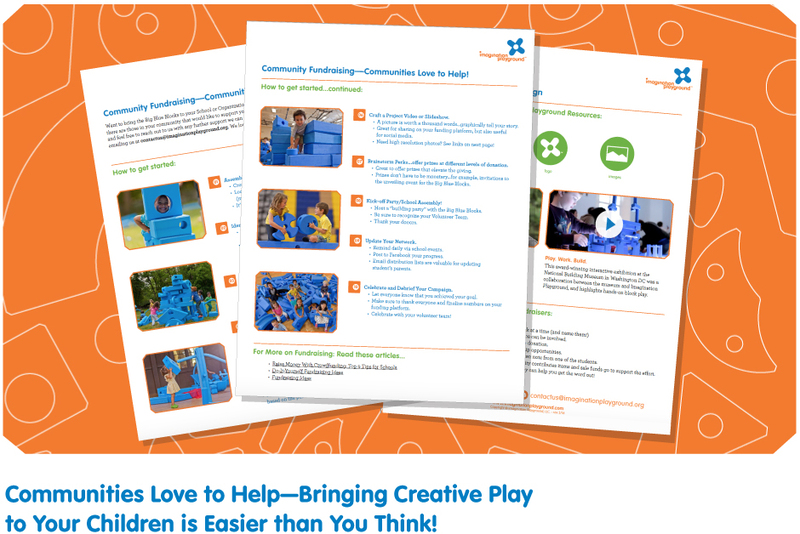 Imagination Playground, LLC, http://www.imaginationplayground.com, creators of the breakthrough play space concept that encourages child-directed, unstructured free play, announced today the launch of their new, helpful Community Fundraising Guide. The free, downloadable, kit is intended for schools and family centers that dearly want to bring Imagination Playground’s Big Blue Blocks to the children they serve, but are sometimes challenged by funding limitations. We've already enabled many community fundraising efforts, and I've never seen one fail. Communities truly care! This new guide presents the proven techniques and tips to make school and family center fundraising efficient and successful. Imagination Playground created the Community Fundraising Guide after a number of financially challenged organizations had already reached out to them for help. After helping with a few dozen successful community fundraising campaigns, Imagination Playground believed that providing this information to more schools and family centers could help many more organizations fulfill their dreams of play for their children. 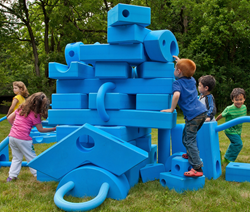 Imagination Playground’s Community Fundraising Guide explains the fundraising process for a set of Big Blue Blocks set in 10 fun and easy steps. From assembling a team, to crafting a compelling story, to throwing a final victory party—every detail is covered in this simple and complete “how to” guide. Downloadable resources include Imagination Playground’s mission brochure, logo, and images—all of the materials needed to create convincing communications around a successful fundraising effort. Also included are videos that tell the story of the creative play offered by Imagination Playground Blocks, plus tips and articles to spark and support creative ideas. For more information and questions, please contact 1-678-604-7466 or ContactUs(at)ImaginationPlayground(dot)org.